Girls Empowerment Fashion Runway Show at Yotel Hotel last Saturday was the grand finale event of the Women & Fashion Film Festival week sponsored by TRUE Model Management. What an exciting event! I was invited by Dale Noelle, President and Founder of TRUE Model Management who explained the idea behind the show: motivate, promote and empower women and girls to follow their dreams and be confident not only with their bodies but with who they are. How inspiring! The Fashion show featured student designers from United Colors of Fashion Academy, Pratt Institute, Fashion Institute of Technology and Stylists from Lim College. Fresh, edgy and creative outfits rocked on the Yotel rooftop runway! I especially liked a double bow skirt, skirt made of newspapers, outfit with fringed trim and woolen dress with matching neon pink socks! So cool (although it was 85F)! The event wasn’t only about the fashion but also about the dreams come true and One Simple Wish of a 16 year old foster child Imani, who could live her fairy tale: a day of beauty in Time Square. 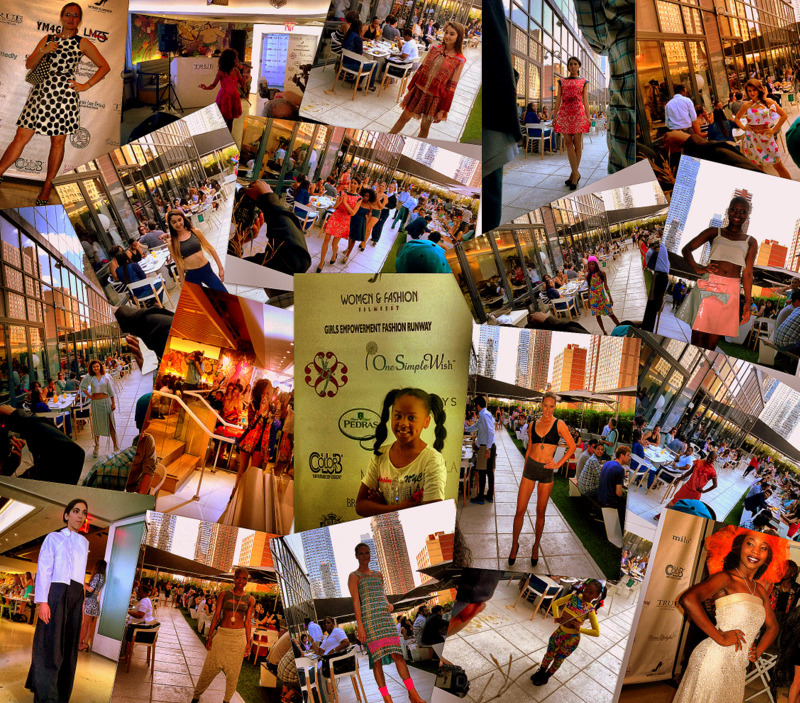 Thanks to TRUE Model Management CEO Dale Noelle, Imani was given a complete makeover and proudly walked the catwalk. We also enjoyed performances by Multipot Dance Company and by Khadia (backup singer for Prince, Mya, R. Kelly) who is soon releasing her debut album. Great voice! And, many fashion press photographers covered the event such as Miguel Dominguez of NYCculturestyle. All in all, fun and inspiring event with intriguing designs, fantastic people, great spirit and entertaining atmosphere! Many thanks to Ms Dale Noelle for such a thrilling experience! You can be so lucky that you got an invitation for such an exciting event! Hey what a wonderful event1 So glad you shared this.